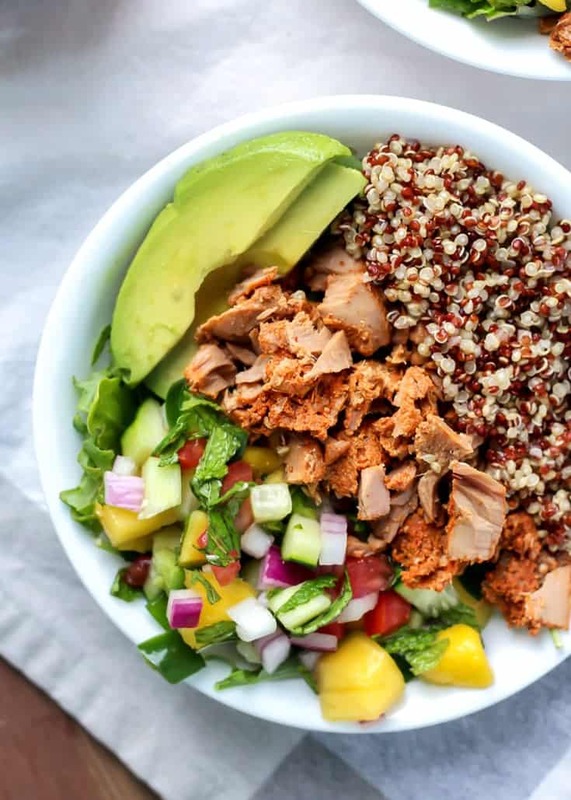 Your new favorite way to enjoy lunch will be via this Habanero Mint Tuna Power Bowl, complete with a mango mint salsa that is a must! Gluten-free, dairy-free and paleo-friendly. Anyways, let’s get down to business... To defeat… The Huns… Now I want to watch Mulan. OKAY, but for real. 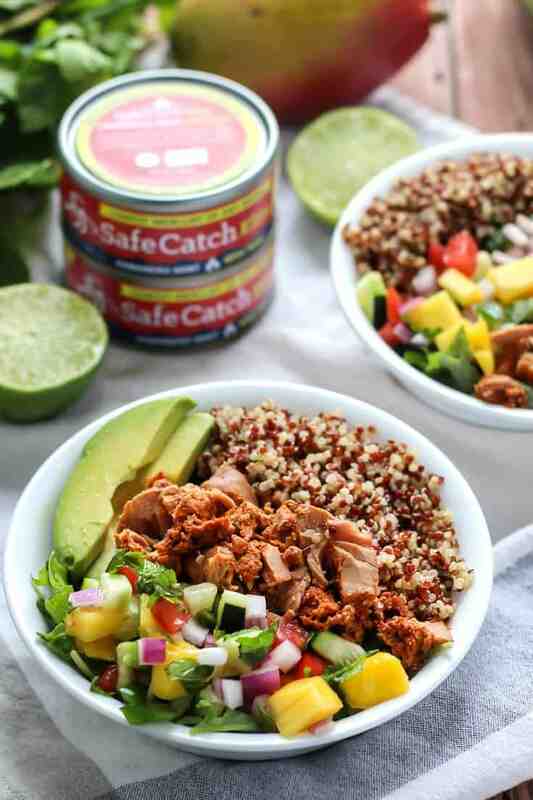 Because I am pretty excited about this tuna power bowl and my new partnership with Safe Catch. 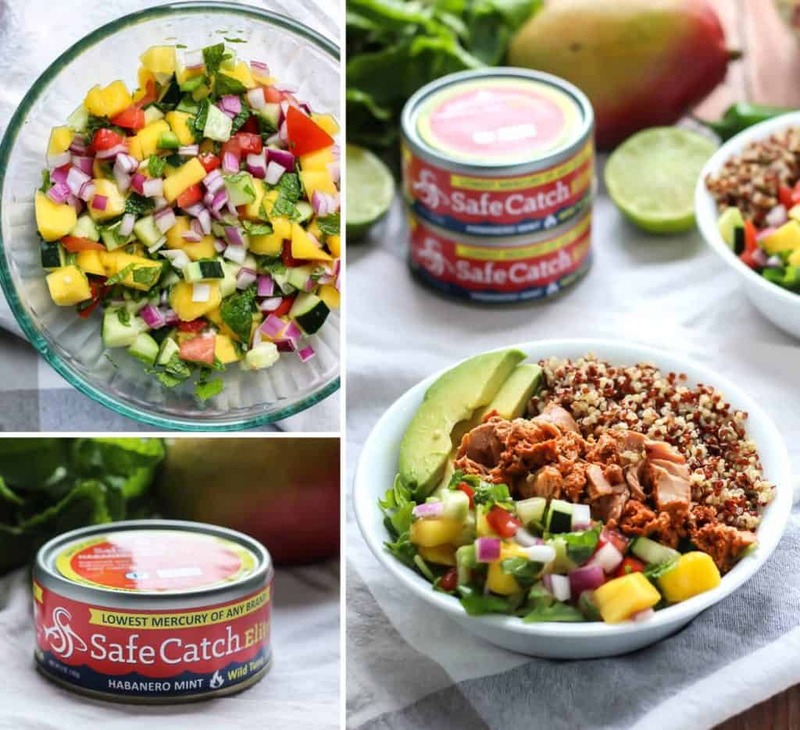 If you haven’t heard of Safe Catch, they are a high quality canned tuna brand, and the only brand of tuna that tests EVERY FISH to ensure safe mercury levels. 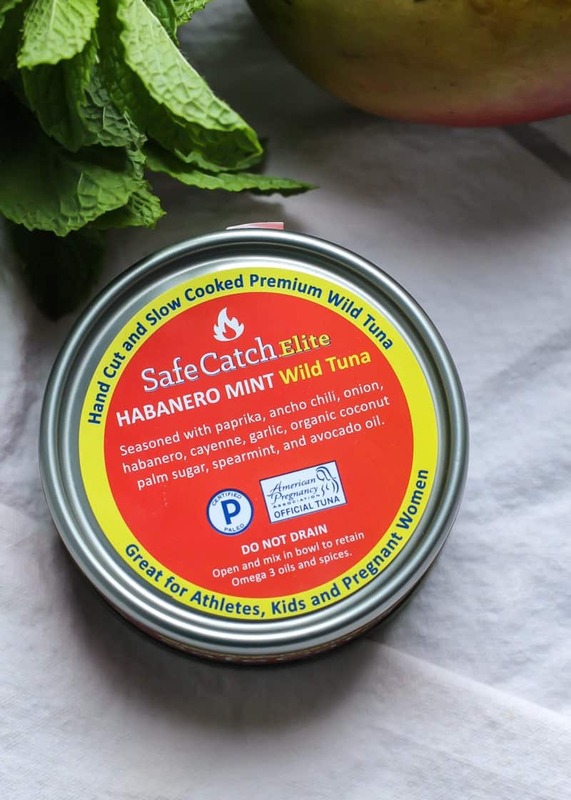 They also just released their new line of seasoned canned tuna with some pretty incredible flavor combinations, one being this Habanero Mint flavor. The great thing about this seasoned canned tuna is there are no funny ingredients. 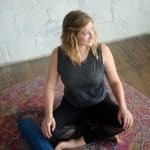 Just spices, oil, and sometimes a little coconut sugar – although there are several flavors with no added sugar at all. I was inspired by this Habanero Mint Wild Tuna flavor to create a mango mint salsa. I wanted something sweet to balance out the heat, mainly because I am still working on my own tolerance. But the result ended up to be an amazing combination! The flavors here are seriously good, and all of the ingredients add up to make one satisfying lunch bowl. 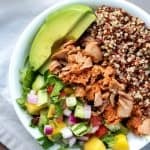 Just prep the salsa and quinoa the day before, and layer all of the ingredients into your bowl. Rinse quinoa in fine mesh strainer and place in small pot of water with 1½ cups of water. Allow pot to come to a boil. Simmer for about 15 minutes, until quinoa is tender and water has mostly gone. Fluff with fork and set aside. While the quinoa is boiling, prepare the salsa: combine diced mango, tomatoes, cucumber, jalapeno, red onion and chopped mint. Toss on salt and squeeze juice of lime over ingredients, and give a gentle stir. Make the bowls: evenly distribute greens and quinoa between two bowls. Divide tuna into two portions and place in bowls. Top with mango mint salsa and sliced avocado. Enjoy! Wondering how to slice a mango? I used this tutorial. Thanks for reminding me about tuna.. I feel like I go through phases where I eat it all the time, and other phases where I forget about it. This bowl looks perfect Ashley! Love that mint mango salsa! And speaking of cold and windy Michigan – my basil plant DIED two nights ago in the frost. But my mint is still going strong. Looks like I found the perfect use for it! I’ve heard so many good things about this tuna! 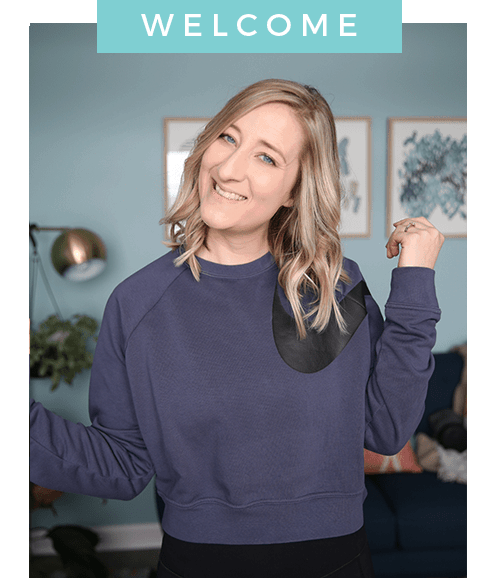 And house rennovation is not easy, but I’m glad that you’re doing it, because I think you’ll be so happy when you see the finished product. It has been a mix of cold and warm here; we’ve had some much needed rain, but we’ve also had sunshine too which has been nice. How warm does it usually get up there in the summer? Way to make canned tuna look like a gourmet meal. I will have to try something like this one day! Canned tuna is always just a back-up meal for me when I run out of things I’ve prepped so I never get super fancy with it. (Although the taco tuna salad stuffed sweet potatoes I just ate were on point). Thank you! 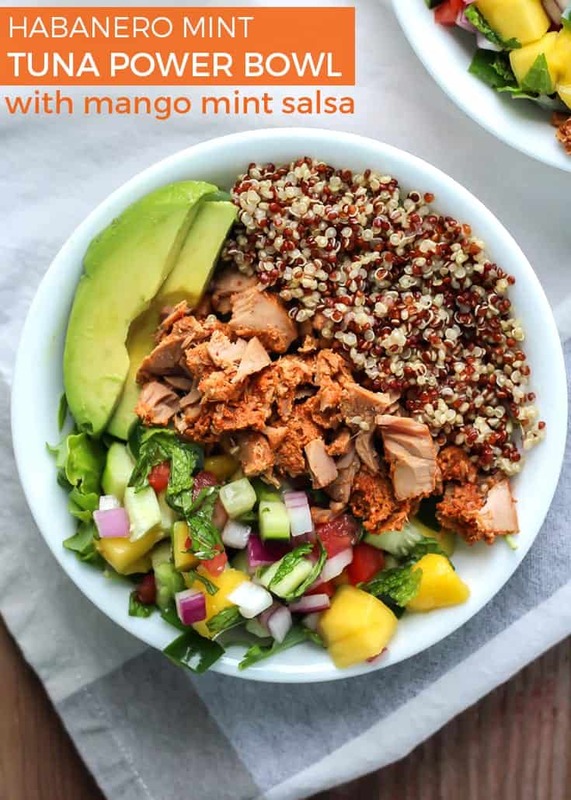 It definitely helps to get a little creative with tuna 😀 Your meal sounds delicious!